NASA Insight Lander Landed on Mars Watch Party at Cocopah, Nov 26th, 2018. 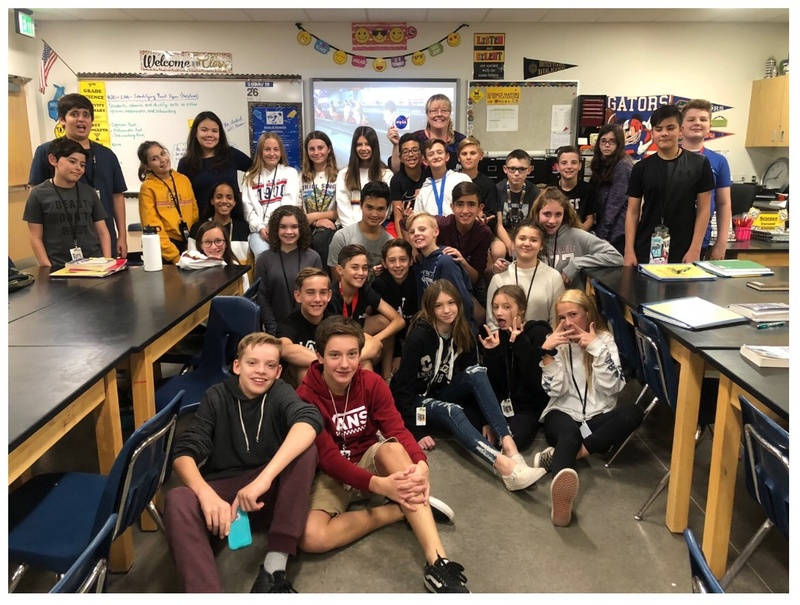 Cocopah Middle School 7th Graders participated in a NASA Insight Watch Party yesterday as NASA’s Insight Lander successfully landed on Mars. 7th graders study space during their classes. “The excitement in the classroom was out of this world,“ said 7th Grade Science Teacher and NASA Solar System Ambassador Tracey Dodrill. “The kids got to see history in the making! It was an exciting time,“ Dodrill said. Mission controllers at NASA’s Jet Propulsion Lab received a signal from NASA’s Insight Lander on the Mars surface via MarCO OR a beep from Insight’s X-band radio shortly after 1 pm MST. Students celebrated the successful landing in their classroom with their teacher. Insight is a mission to Mars to help scientists understand the formation and early evolution of all rocky planets, including Earth.